June 2, 2014, Washington, DC: It was thumbtacked to a bulletin board in Eastport's Leeward Market last week, just across the creek from downtown Annapolis. 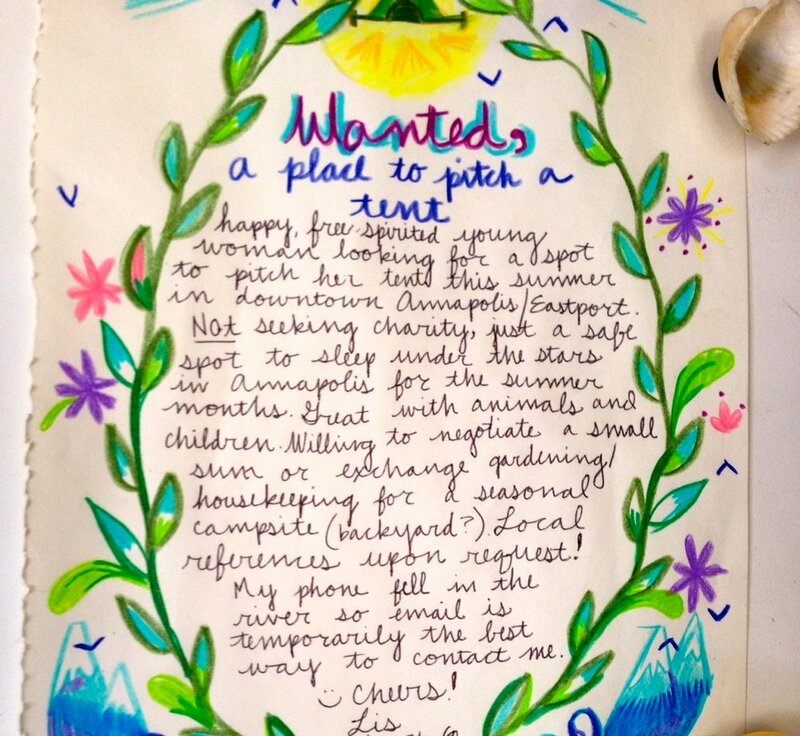 "Wanted, a place to pitch a tent... just a safe spot to sleep under the stars... my phone fell in the river so email is temporarily the best way to contact me." A vine of flowers, birds and sunshine surrounded the message. Simple. Idealistic. Handwritten. Maybe that's why I found the note refreshing instead of naive. It was a throwback to an era that preceded the online status update, a return to a time when a lost cell phone was not the end of the world. It was a retreat to days when a bulletin board in an old deli was the optimal to contact the neighbors. It was a reminder of a former phase of my own life when solo travel was the greatest adventure imaginable and all a girl could ask for was a safe place to sleep under the stars.